platform for teams of all sizes. We know that you have a lot to do. For every task you have to download a tool, to login, to copy and paste files. With so many tools, it is hard to keep everyone and everything on the same page. CollaboraZon is the new tool that unifies them all. It’s all you need to run a project and keep your team organized. You can even get up to terabyte of cloud storage. It’s that simple. Create collaborations with people. Find collaborators between the registered users or send them an invitation to register and start collaborating. 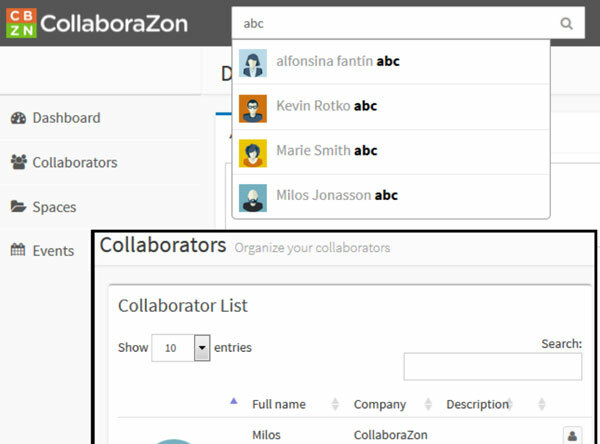 You are not alone, when registering your first automatic collaboration is created with the CollaboraZon (Administrator). If you need anything you can always create a conversation with him. He will be happy to help! Start a conversation by posting your ideas. You can communicate with multiple collaborators. Leave comments and posts and take projects from concept to completion! If you don’t want the collaborators to know who is sharing, untick the box “Visible between them” (like BCC in emails). 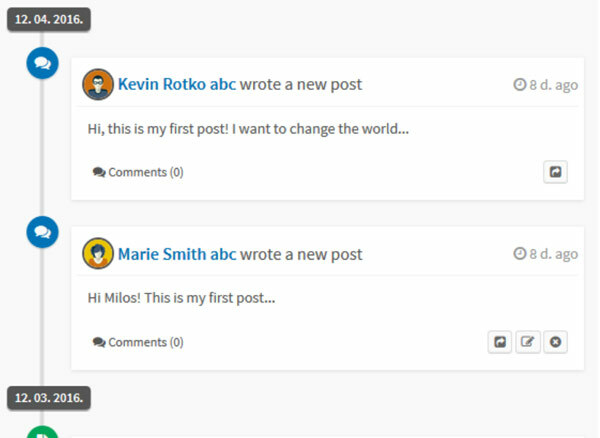 All your posts and posts shared with you are listed in the Dashboard in reverse chronological order to see your recent activity. People sharing the post can comment at any time. You can create spaces and subspaces as you do with folders and subfolders in your desktop computer. You can share your spaces with multiple collaborators. 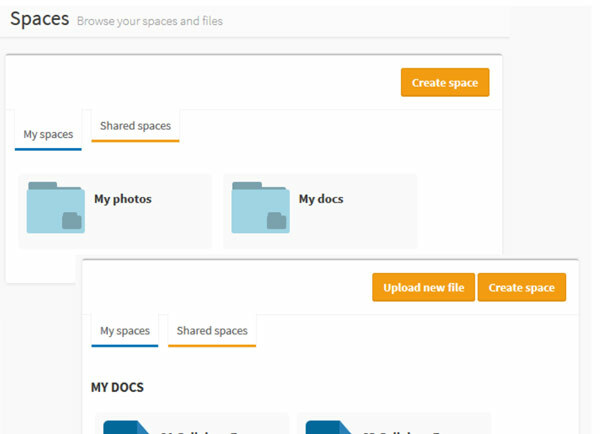 Upload files of any type in your spaces or spaces shared with you. These files will be shared with the collaborators sharing the space. Only the person who uploaded the file and the owner of the space are the owners of the file, being able to remove it. If you upload a file to one of your spaces you consume your own drive storage; if you upload to a space shared with you, you consume the drive storage of the owner of that space. Add an event to your calendar. 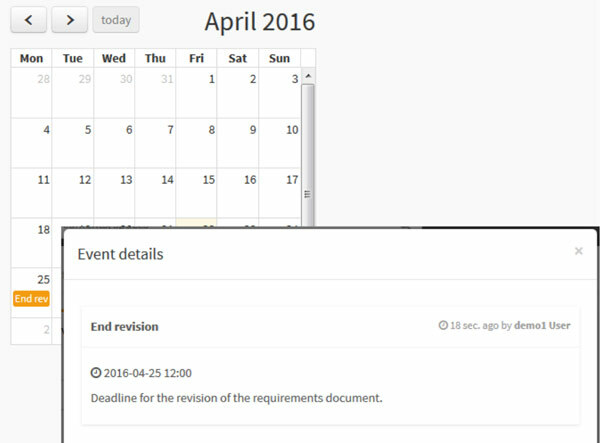 Events can help to organize your work or just to remind you of an important deadline. You can share an event with multiple collaborators, reminders will be sent to you and the collaborators the date of the event, 30 min and 5 min before the event. Security is really important for us! We encrypt all our communications over the internet when sending your files using SSL. Your files are stored at Amazon S3 cloud storage (Servers are in Europe). Our servers are all hosted in Europe and secured by strong physical and technical measures. Payments are done using a payment gateway service PCI compliant. Register and get 1 month for FREE! Nothing to Install. Cancel Anytime. No Risk. Instant Access! Then if you need more drive space to store all your content or you need to collaborate with more people upgrade your plan inside the app. With CollaboraZon you are never locked into a plan that does not fit. You can add or remove collaborators, change plans, or cancel your subscription at any time.